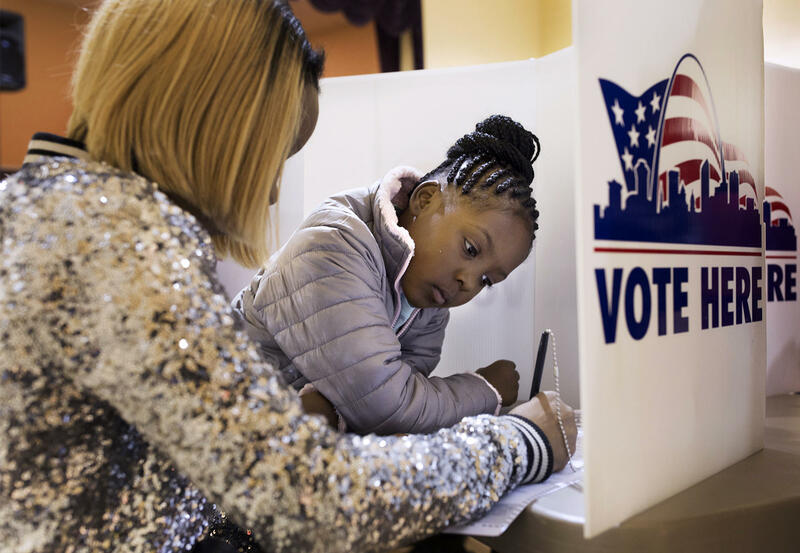 Jumira Moore, 8, watches as her mother, Timira Saunders, fills out a ballot at Central Baptist Church in St. Louis on Tuesday, Nov. 8, 2016. Most of the statewide attention will be on U.S. Sen. Claire McCaskill’s re-election bid, a race that will likely prompt national political groups to dump tens of millions of dollars into radio and television stations’ coffers. There are also intriguing down-ballot contests that could have long-term political ramifications, as well as legislative storylines that could affect the lives of countless Missourians. So, what better way to kick of the new year than a listicle of questions? I’m sure there are other avenues to convey this information, but let’s stick with this until holograms become a choice way of disseminating information. 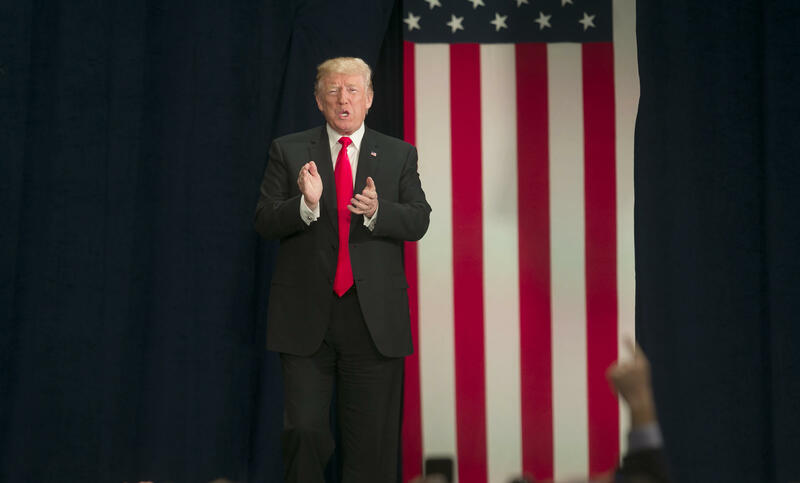 Will President Trump remain popular in Missouri? Trump greets guests before delivering his remarks in St. Charles last year. Both major political parties will be investing obscene amounts of money into the Show Me State this year — with the primary of objective of making their candidate of choice look good and their adversary look, well, bad. 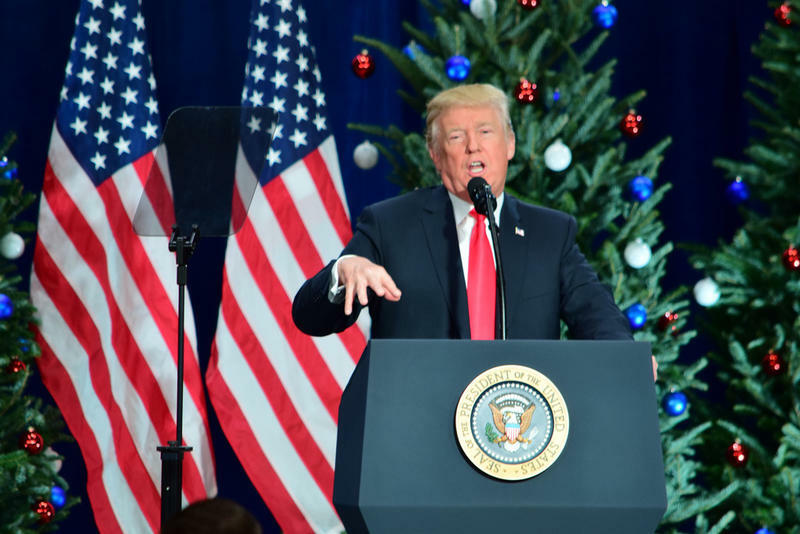 Here’s a dirty little secret: All that money doesn’t really mean that much compared to how Missourians are feeling about President Donald Trump. In the last few election cycles, a president’s popularity played a huge role in determining the outcome of Missouri elections. Last year, Trump’s 19-point victory swept Missouri Republicans up and down the ballot to victory. But the president’s political party often performs worse in midterm elections, most notably when President George W. Bush’s fortunes were sagging in 2006. There are exceptions to this phenomenon, such as when U.S. Sen. Claire McCaskill trounced Republican Todd Akin in 2012, the same year GOP presidential hopeful Mitt Romney won the state comfortably. Can U.S. Sen. Claire McCaskill forge a path to re-election? Even if Trump’s popularity wilts throughout Missouri, it’s not necessarily a guarantee that McCaskill can win a third term. She must get robust turnout in Democratic strongholds like St. Louis, Kansas City and Columbia. She also needs to either win or compete in suburbs that are leaning more Republican in recent years, such as Jefferson, Lincoln, Buchanan and Clay Counties. She’ll need to keep Republican margins down in rural parts of the state. This was the roadmap that McCaskill used to defeat U.S. Sen. Jim Talent in 2006, and she’ll need to follow it again to defeat a strong Republican challenge. Given Democratic woes in rural and suburban parts of the state, hitting all three goals won’t be easy. Will Attorney General Josh Hawley withstand the pressure — and political attacks? 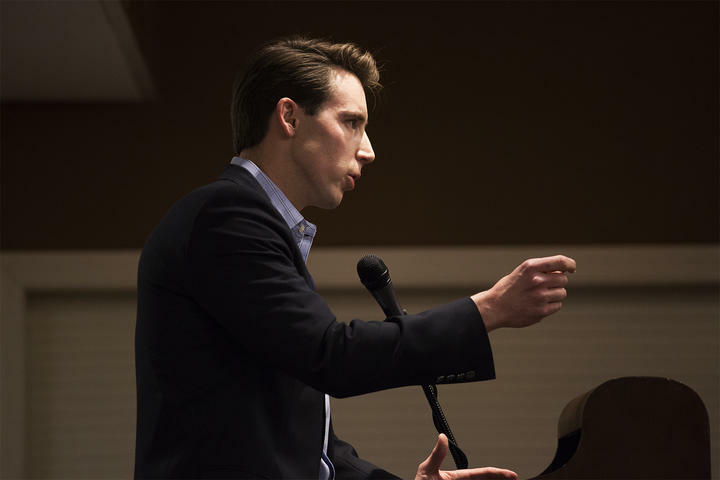 Missouri Attorney General Josh Hawley is the best-known Republican candidate to take on McCaskill. But Hawley will face a different type of scrutiny as he runs for Senate. Everything he says or does on the campaign trail or any action he takes as attorney general will be intensely dissected. And it’s not just outside groups that are set to pounce: McCaskill is renowned for running sharp advertisements — and coming up with pithy burns that subconsciously page homage to “Stone Cold” Steve Austin. Hawley does have the advantage of having much more monetary and organizational support than his GOP primary opponents, a marked change from 2012. However, it should be noted that Republican Senate candidate Austin Petersen cultivated a strong following after he ran for president as a Libertarian in 2016. 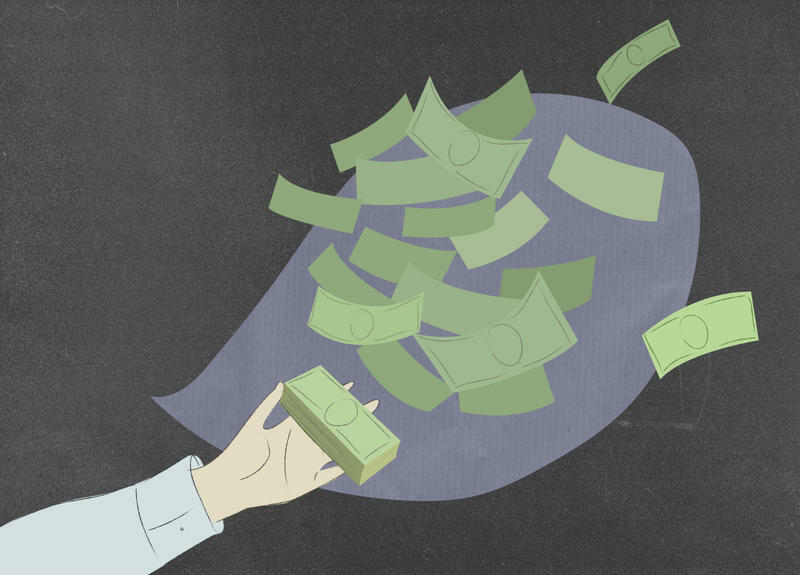 Is "dark money" becoming a bipartisan phenomenon? Tierra White holds her two-year old daughter, Taylor, during a Save the Raise rally outside Southwest Diner on Friday, July 14, 2017. Nonprofit groups with unknown funding sources have spent hundreds of thousands of dollars to support a ballot item raising Missouri's minimum wage. Politically-active nonprofits became a prime topic of conversation after allies of Gov. Eric Greitens started A New Missouri, 501(c)(4) that’s promoted the GOP governor’s agenda and attacked his foes. These groups don’t have to disclose their donors or how they’re spending money. But so-called “dark money” groups didn’t just benefit Republicans. Democratic nonprofits spent lots of money in 2017 to boost McCaskill’s re-election prospects. And several groups with unknown funding sources contributed substantially to bid to raise Missouri’s minimum wage. Even amid bipartisan calls to require nonprofits to disclose their contributors, it’s likely these committees end up benefiting both parties next year in statewide and legislative contests. 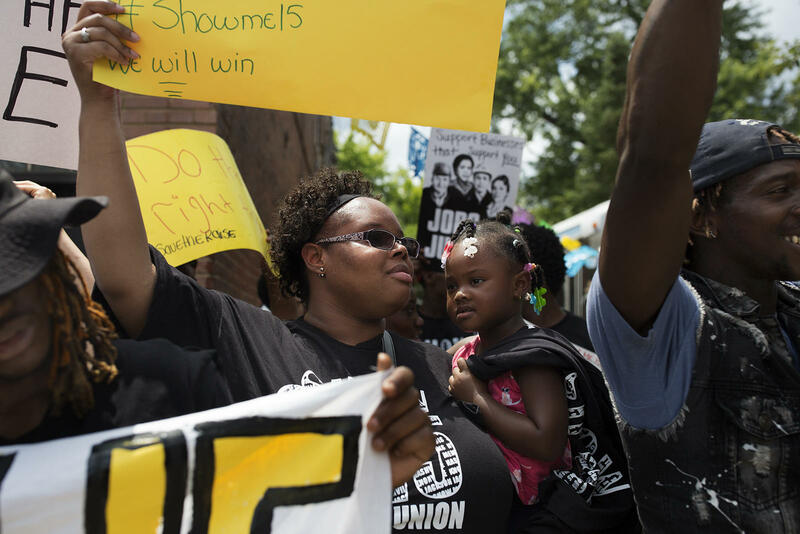 How will labor unions fare at the end of the year? 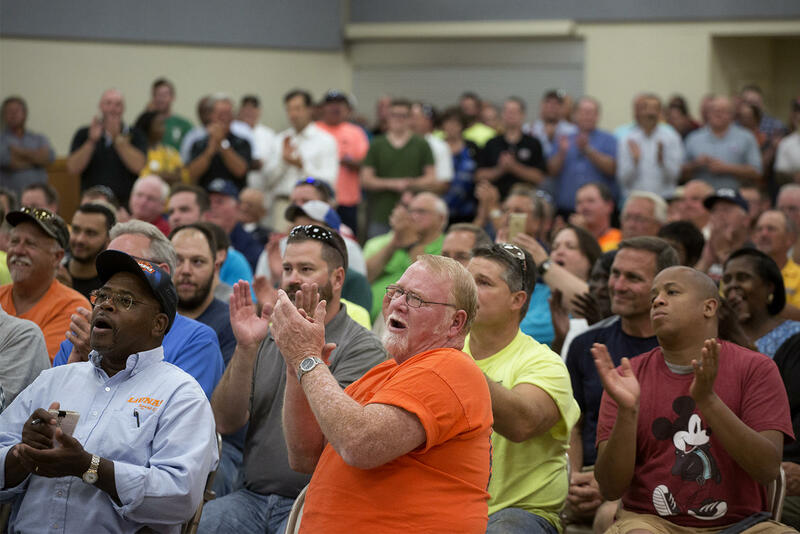 Union members gathered at the International Brotherhood of Electrical Workers Hall on Tues., Aug. 8, 2017, to notarize and turn in petitions to force a statewide vote over Missouri’s right-to-work law. Organized labor went through a roller-coaster ride last year. Lawmakers quickly passed “right to work,” which bars unions and employers from requiring workers to pay dues. But unions were able to gather enough signatures to prevent that law from going into effect — leaving it to Missouri voters decide whether to repeal the measure. Yet even if unions are successful at repealing right to work, Republicans lawmakers could end up passing more laws that make it more difficult for unions to operate. Legislators could also move the date of the right to work vote from November to August, although it’s unclear if that maneuver would change the outcome. In any case, there’s little question labor faces another fight in 2018 — and it’s unknown if unions will be in a stronger or weaker position. 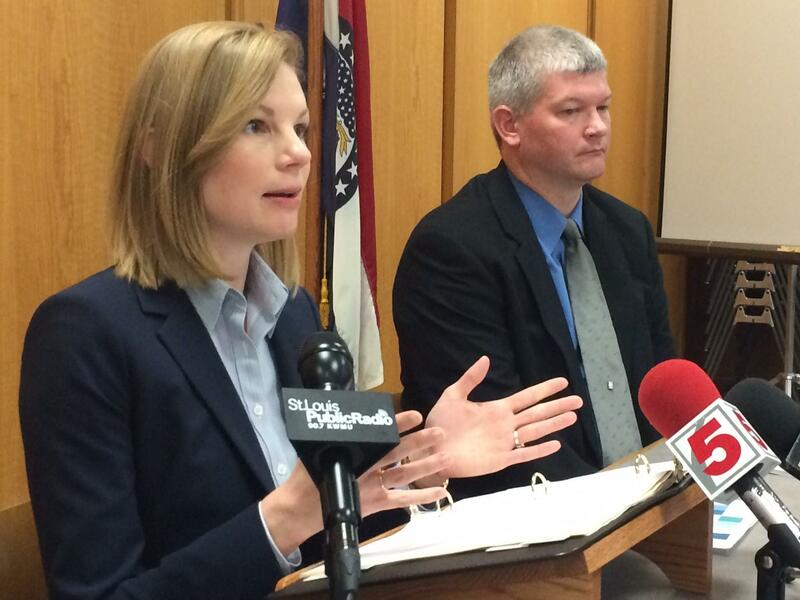 Does state Auditor Nicole Galloway survive a bid for a full term? Missouri state Auditor Nicole Galloway is expected to face a strong Republican challenge in her bid for a full four-year term this year. Most of the time, the state auditor’s race is an afterthought in a midterm election cycle. 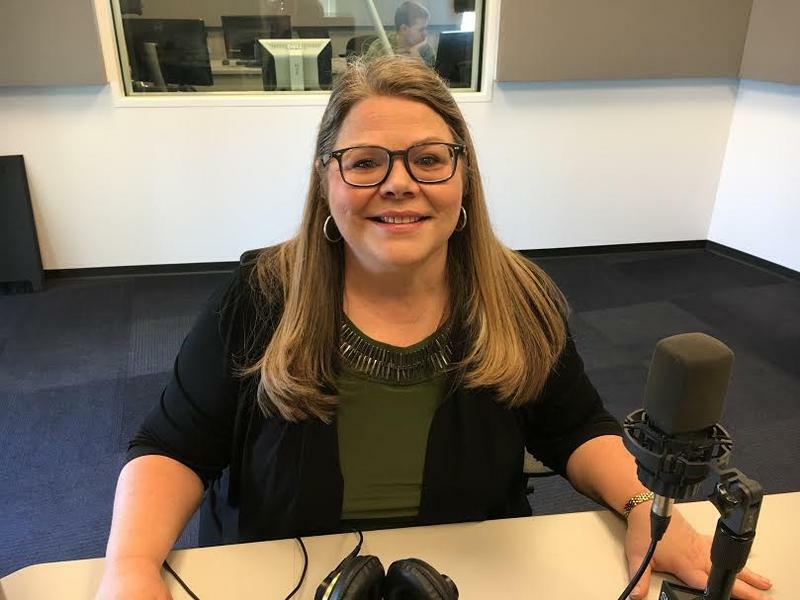 But Missouri Democrats may need to keep incumbent Auditor Nicole Galloway in place to preserve their political prospects. For starters, Democrats have a fairly thin bench of statewide contenders and Galloway could be the candidate to take on incumbent Gov. Eric Greitens in 2020. For that to be even a possibility, she’ll have to fend off a strong Republican challenge. Galloway’s election to a full, four-year term could also be critical if voters pass a ballot initiative known as Clean Missouri. That measure tasks the state auditor to come up with “nonpartisan demographer” candidates to draw state House and Senate maps under a specific criteria. Unless Democrats want those choices to be GOP political consultants, they better get Galloway across the finish line. Will Greitens face a rebellion from Republican legislators? Missouri Gov. Eric Greitens speaks to reporters after the 2017 adjourned. Greitens didn't have the smoothest relationship with legislators — including Republicans that control both chambers of the Missouri General Assembly. Thanks to Republicans holding supermajority margins in the Missouri General Assembly, Greitens had a greater opportunity to enact policy change than any of his GOP predecessors. While the 2017 session was hardly uneventful, the governor’s oft-personal clashes with legislators of his own party loomed large. Greitens stoked even more ill will when his appointees that hadn’t been confirmed by the Senate ousted the state education commissioner and halted low-income housing tax credits. That set up an unprecedented situation where a Republican Senate may reject scores of Greitens’ nominees. 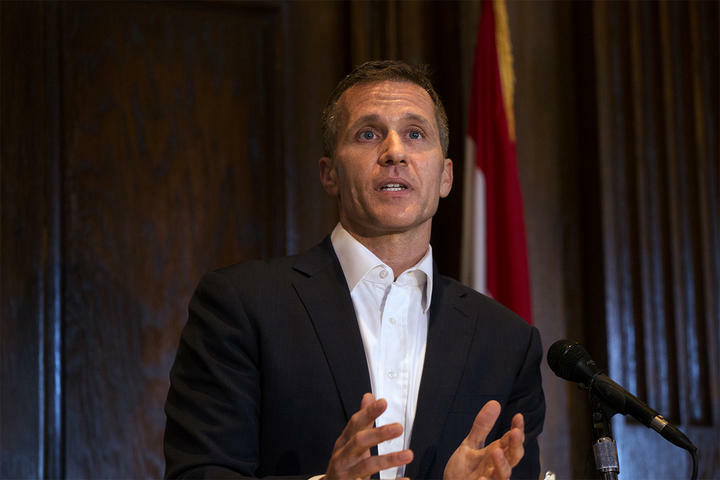 The big question, besides whether this schism extends beyond gubernatorial appointees, is whether a GOP revolt prompts Greitens to change his approach. That may be a tough sell for someone who came into office bashing “career politicians,” but it may be the best way to bolster his public policy resume. Is 2018 the years the Democrats finally gain serious ground in the Missouri General Assembly? State Rep. 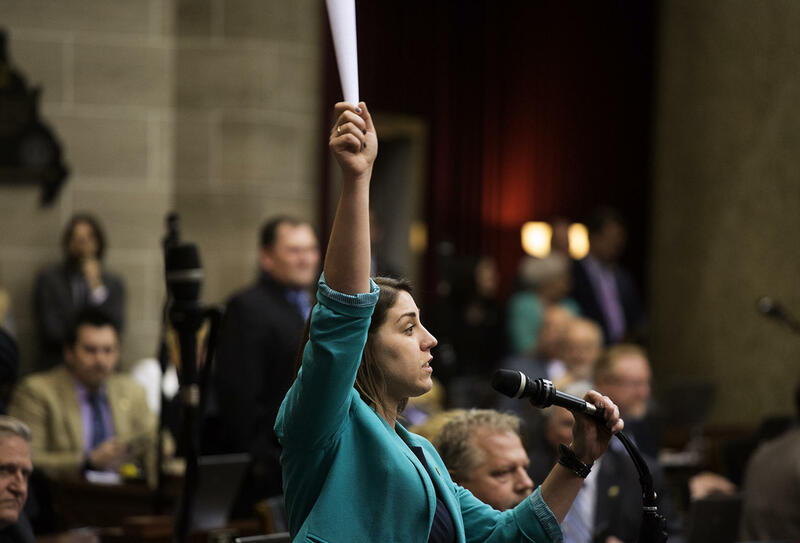 Crystal Quade, D-Springfield, seeks to be recognized on the final day of the 2017 Missouri General Assembly legislative session. Missouri Democrats have been mired in superminority status since 2013. And the party’s fortunes worsened as Democrats lost favor in rural and suburban parts of the state. Lately however, Missouri Democrats placed an emphasis on recruiting more candidates to run for legislative seats. That strategy could pay off if Trump’s popularity takes a nosedive. But Republicans have a disciplined and well-funded campaign operation that kept GOP lawmakers in place during bad national environments for the GOP. Regardless, Democrats are currently outnumbers 113 to 46 in the House and 25 to 9 in the Senate. It will likely take a number of election cycles before the party can even think about retaking the House or Senate. Could relations between St. Louis County Executive Steve Stenger and the county council actually get worse? St. Louis County Executive Steve Stenger is going into the 2018 election cycle with few strong allies on the county council. Talk about a reversal of fortune: Stenger came into office in 2015 with six out of seven councilmembers as allies. Now, most of the council is aligned against the Democratic county executive — and even some of Stenger’s council friends joined with his adversaries to pass its own budget. 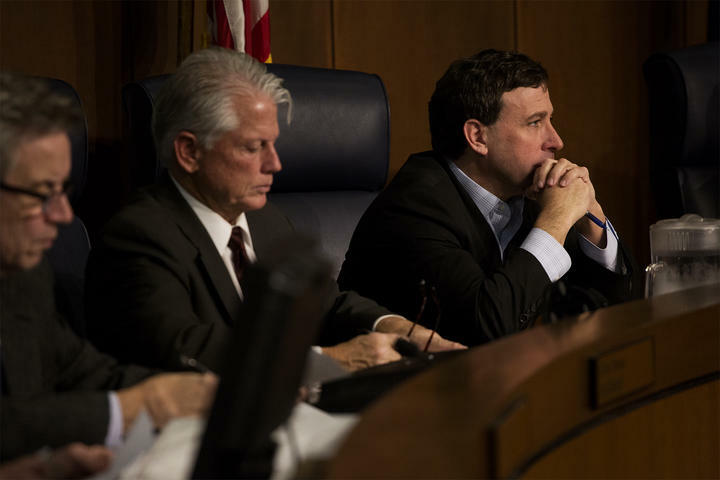 With Stenger headed into his first re-election campaign, it’s possible that the relationship between the county’s executive and legislative branches takes an even bigger nosedive. That’s what happened in 2014, when then-County Executive Charlie Dooley got into a number of hostile exchanges with a Stenger-led legislative coalition. This legislative infighting will likely be a big source of contention in Stenger’s bid for another four years. 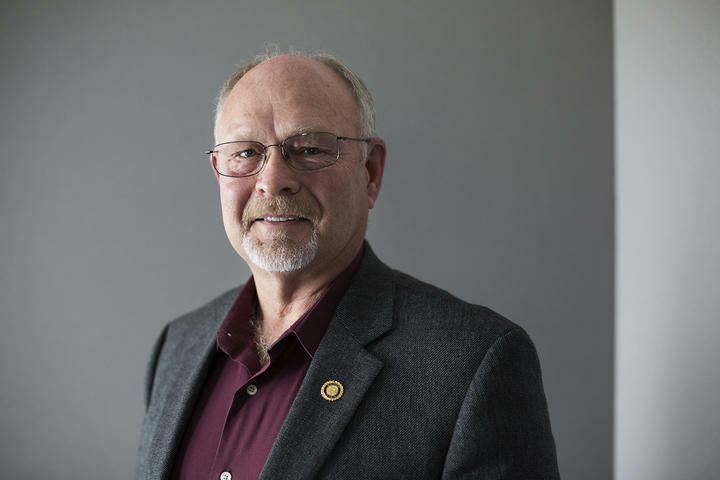 He faces several Democratic candidates in the August primary. Will St. Louis' political leadership enact post-Stockley policy changes? David Dwight, of the Ferguson Commission, Mayor Lyda Krewson, State Rep. Bruce Franks Jr. and Sgt. Heather Taylor, president of the Ethical Society of Police introduce themselves at a forum on the response to the Jason Stockley protests. Missouri’s legislative response to Michael Brown’s shooting death left a lot to be desired, especially compared to other states. Bills to change how police are trained and how officer-involved killings are investigated went nowhere, while a high-profile bid to restrict municipal fine revenue was partially struck down in court. In many respects, St. Louis officials have an opportunity to do a lot more in response to former St. Louis Police officer Jason Stockley’s acquittal of first-degree murder in the death of Anthony Lamar Smith. The Board of Aldermen could place a measure on the ballot giving the Citizens Review Board of the police department subpoena power. And since St. Louis Mayor Lyda Krewson’s administration controls the police department, she could have officers adhere to aspects of the Ferguson Commission report that she says wants to implement. The city’s factional political culture may make consensus difficult, if not impossible. But it doesn’t hurt that Krewson placed an emphasis on policy change, given that a majority of aldermen are aligned with the mayor. On the Trail, an occasional column, takes an analytical look at politics and policy across Missouri. With the federal tax overhaul now law, Missouri’s political candidates in both parties are highlighting their support or opposition to the measure as they try to appeal to voters as the 2018 campaign cycle gets underway. 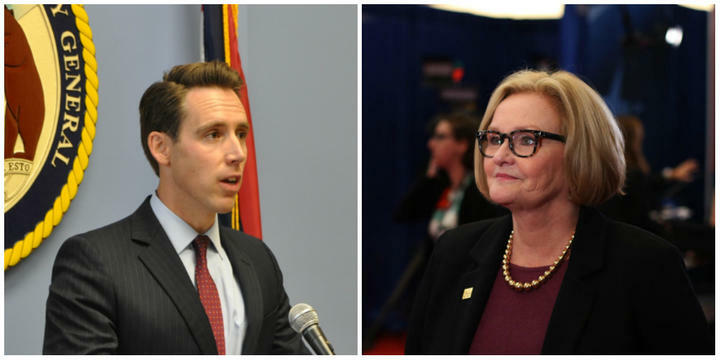 State Attorney General Josh Hawley, a Republican candidate for the U.S. Senate, is particularly aggressive in using the tax law for his initial attacks against Democratic incumbent Claire McCaskill.